Have you ever driven down a business street and seen people at a restaurant outside enjoying themselves listening to a guitarist, chatting while having something tasty to eat and drink? One cold and very snowy and windy winter day, the KVIS Businesses & Commercial Properties Committee was discussing ways to draw attention to area businesses; the conversation turned to dreaming about warmer days and enjoying being outside. This is how the idea for Kenmore Summer Tapas came about. After the cold weather months are over, it’s easy to see why people like us hearty Buffalonians/Kenmorians are so attracted to al fresco dining! The tradition of having small plates of hors d’ouvres and tasty bites and drinks outdoors may have been started and perfected in places like Spain where the tradition of tapas (tah-pahs) is a way of life, but the appeal of this casual outdoor nibbling is growing stronger each year here in the United States. There's something about driving or walking by a place where people enjoying tapas that makes so many people want to pull over and go soak in some of that atmosphere. The Kenmore Summer Tapas initiative is designed as a way to purposefully bring people to Kenmore to the many fine places we have for outside eating and drinking. The initiative includes a whole campaign centered around dining in Kenmore -posters, dining cards, a contest and more. Each person visiting a Kenmore Summer Tapas restaurant may pick up a card that can be presented and marked at each participating restaurant; once the person has visited each restaurant they will be entered to win a prize. Kenmore Summer Tapas will run for the months of July and August. 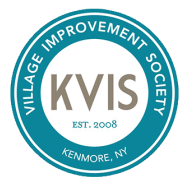 The KVIS hopes that this wonderfully simple initiative will help to woo customers from all over WNY to our Kenmore area restaurants, increasing summer sales for them and for the surrounding businesses. Please make sure to stop by the participating restaurants to enjoy and have your tapas card marked.